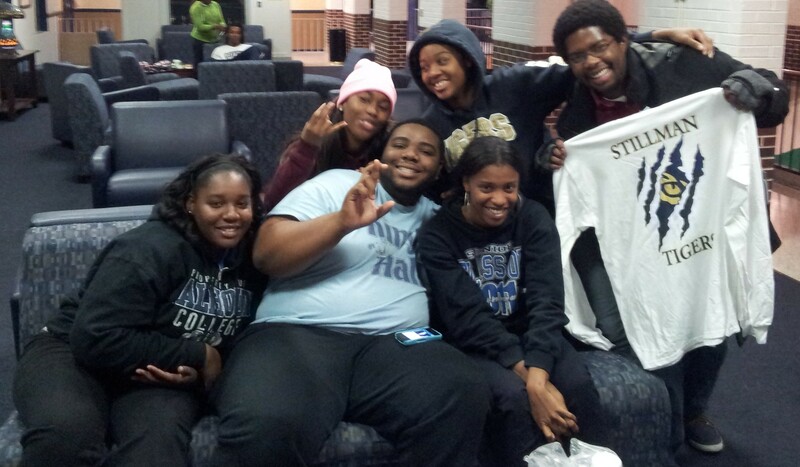 Good Friday was great Friday for HBCU Trek. On this day, HBCU Trek collaborated with the STAX Music Academy Community Engagement Specialist to explore each of the historically Black colleges in the state of Arkansas. First on the list was the University of Arkansas at Pine Bluff. Pine Bluff is located south of Little Rock in a remote area of the state. UAPB borders Pine Bluff Lake which is next to the Arkansas River and adds to the unique scenery of the campus. 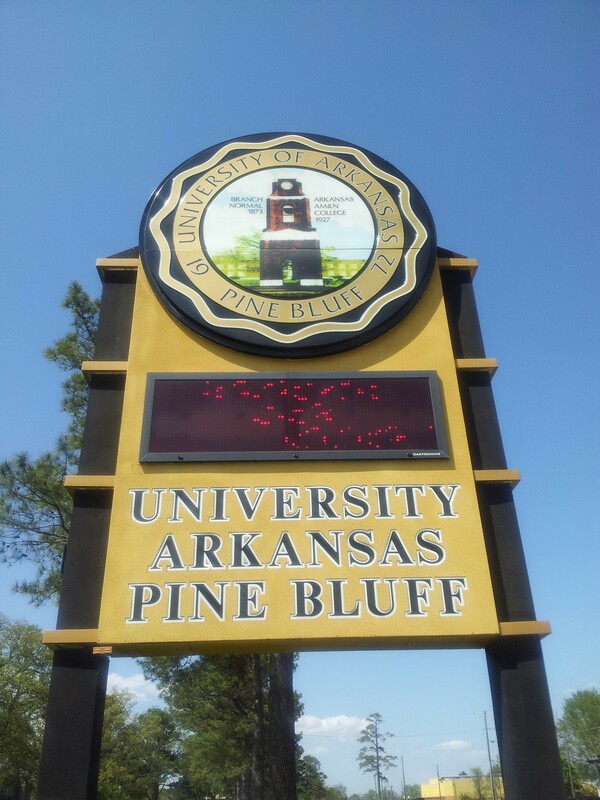 Arkansas Pine Bluff, as explained to us by the office of admissions and our two student tour guides, was second higher education institution established in the state of Arkansas. 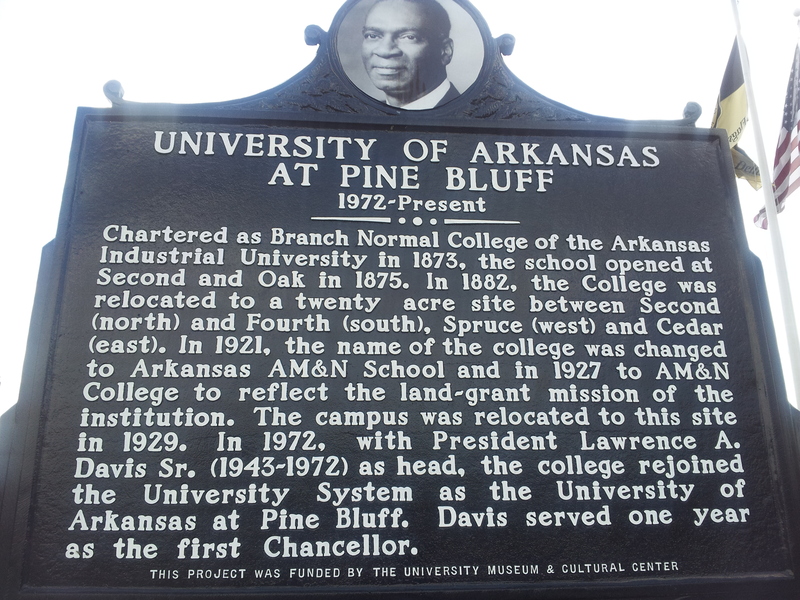 UAPB opened as Branch Normal College, the Black campus, of Arkansas Industrial University and was tasked with educating teachers for the state’s African American population. Because the institution received funding from the federal Morrill Land Grant, the school’s mission expanded to providing agriculture, mechanical arts (engineering), and normal (teacher) education; subsequently, the institution changed its name to Arkansas Agricultural, Mechanical, and Normal College. 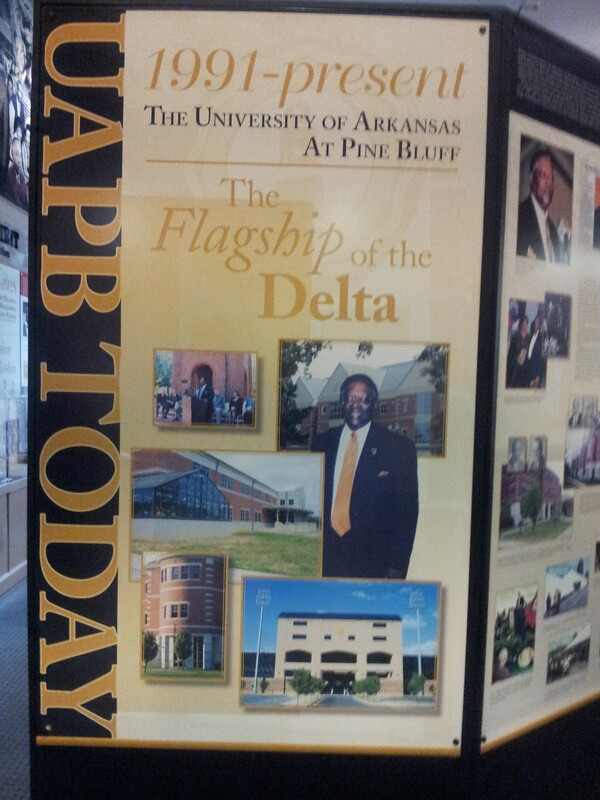 Over its history, UAPB has had an on and off relationship with the University of Arkansas, most recently rejoining the UA system in the early 1970s. The campus of UAPB is adorned with both historic landmarks and new structures. 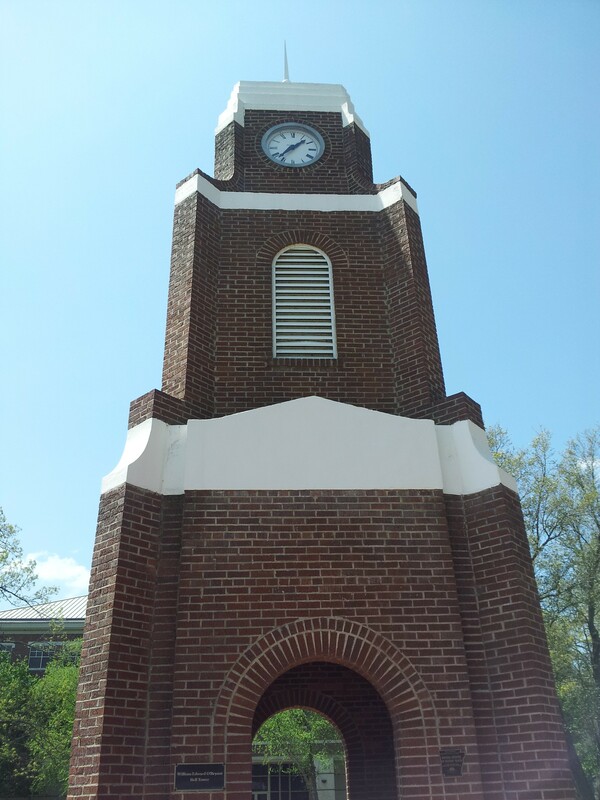 At the center of the campus stands the William Edward O’Bryant Bell Tower: the very same tower featured in the university’s logo and seal. 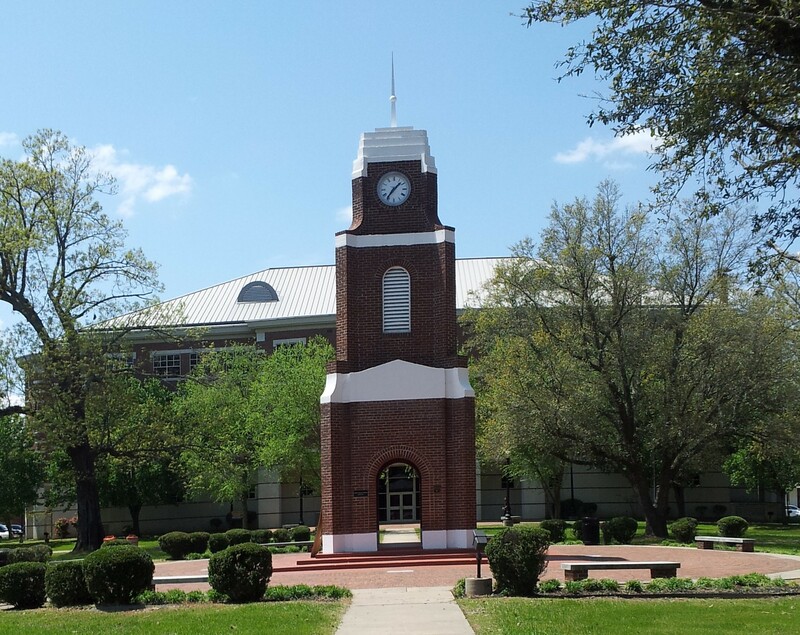 According to our tour guide, UAPB students take pictures in front of the Bell Tower for graduation invitations, postcards, publicizing student organizations’ events, and even for social media profile pictures. 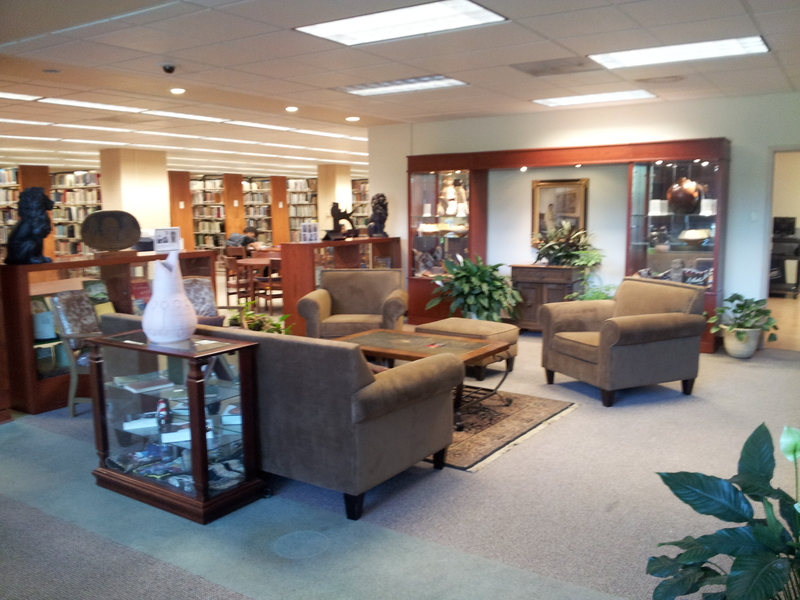 In addition to the historic landmark, the university features a couple of unique, must see sites: the golden lion, the first floor of the Watson Memorial Library, and the UAPB museum. 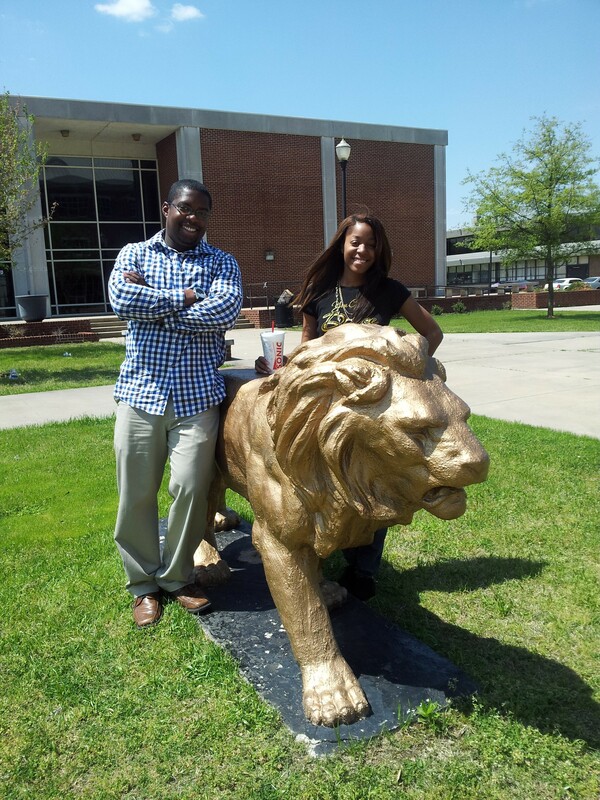 As the mascot of UAPB, lion pictures, statutes, and figurines are prominent around campus. The most famous of the lions, however, is the Golden Lion posted in front of the library. The detail put into the lion’s frame and musculature is uncanny, coupled with the golden coat that shines…glows in the heart of the yard. The John Brown Watson Memorial Library. I loved it. The feeling and look of the library upon opening the door was breathtaking. Once Fredrick Douglass looked me square in the eye, I felt imbued with scholastic abilities and a responsibility to use my knowledge to further empower a people. After seeing that Golden Lion in front of the building, the bust of Sir Fredrick Douglass was almost too much to handle–so inspiring. 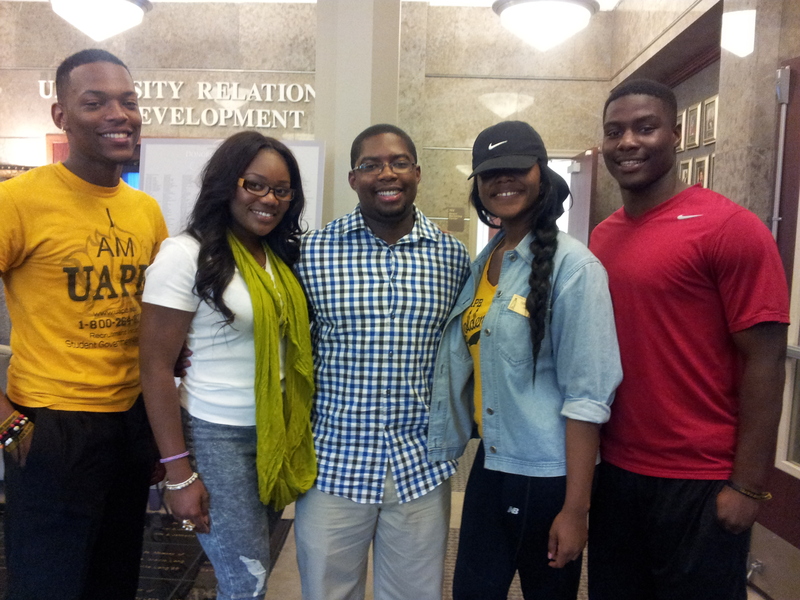 If I went to school at UAPB, I would definitely frequent the library. 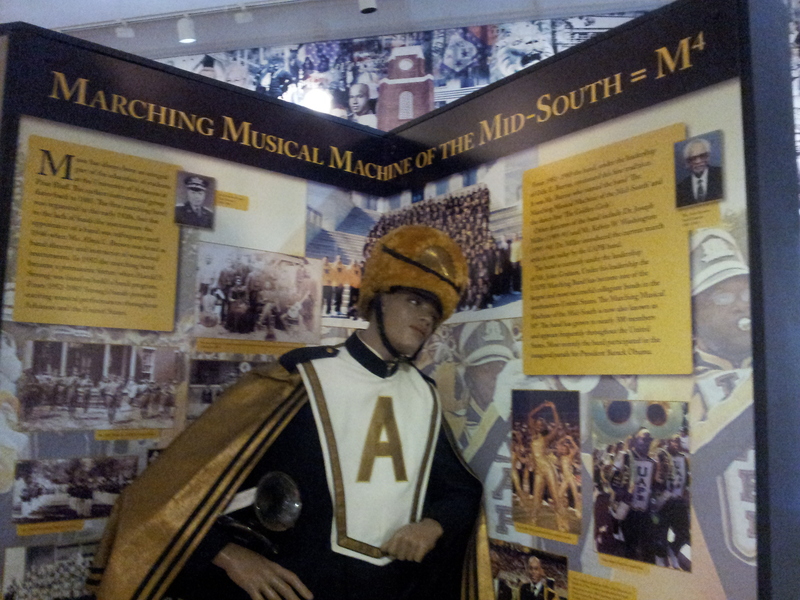 Finally, the University of Arkansas at Pine Bluff Museum is a treasure. I have visited over 45 Black college campuses on this HBCU Trek, yet this is the first institutional history museum I have seen so institutionalized and highly developed. To have an entire two-story building dedicated to the history, heritage, and legacy of the host institution is a testament to the love and care UAPB students, administration, and alumni have for their school. 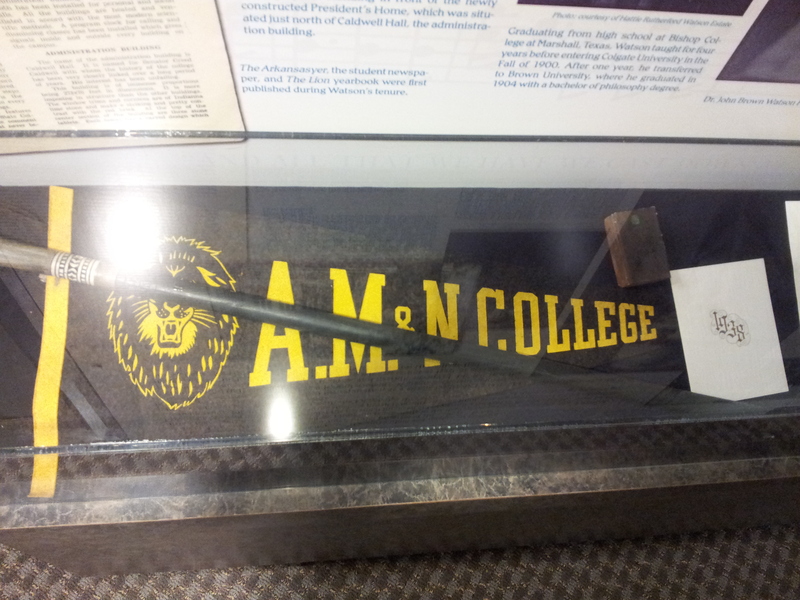 As a researcher, this is a dream find, a scholastic wonderland, an academic smorgasbord; as a HBCU enthusiast, the museum was 7 generations of Black college experience documented, packaged, and put on display for immediate and continual appreciation. 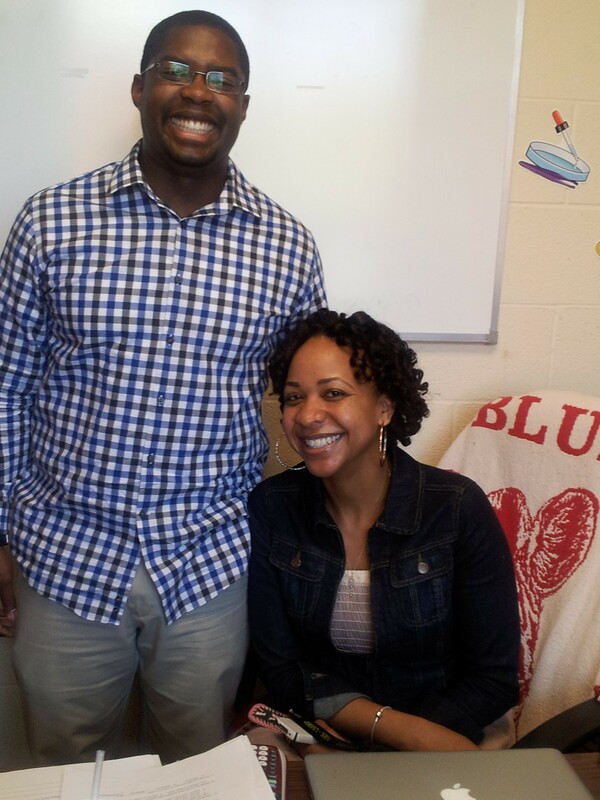 We ended our tour by visiting one of the newest faculty members on campus, Joy Jackson, Ph.D. Professor Jackson is a native of Pine Bluff, an alumna of UAPB, and currently teaches in the Biology department for the university. Professor Jackson took us out to a local eatery, Rich’s, and told us about the differences she has experienced between student life and life as a professional academic at UAPB. Speaking with the tour guides, admissions staff, students walking around campus, and Professor Jackson, I have determined that at UAPB a) it is Live being a Lion, b) a familial atmosphere is fostered 24/7, and c) heritage matters. 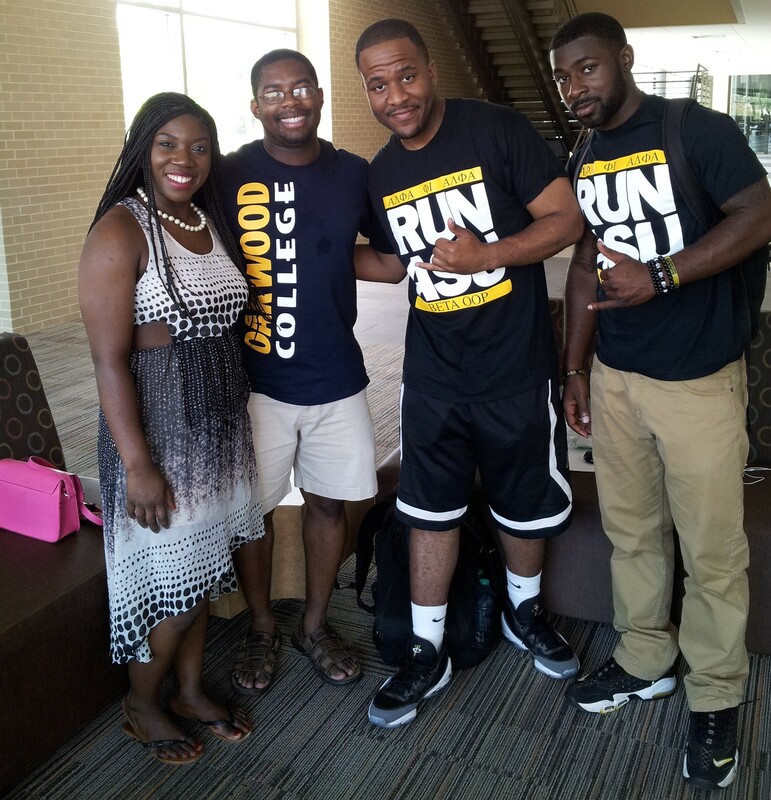 It is a common practice on the HBCU Trek to take a picture with students. I take every opportunity to speak with the students about a campus. Speaking to students at random, not Student Government Representatives or work study students at the information desk, provides a particular perspective of the campus: they tell you how they have personally experienced the HBCU, rather than speaking on what the college strives to offer. Students walking to class, hanging out in the student center, or eating a meal in the main campus cafeteria present the college in a way that cannot always be captured in an View Book or on the school’s website. Student views, stories, and observations (people watching) add something to a campus visit that school recruiters, commercials, billboards, and watching HBCU football classics on BET or ESPN are not able to fully project: authenticity. 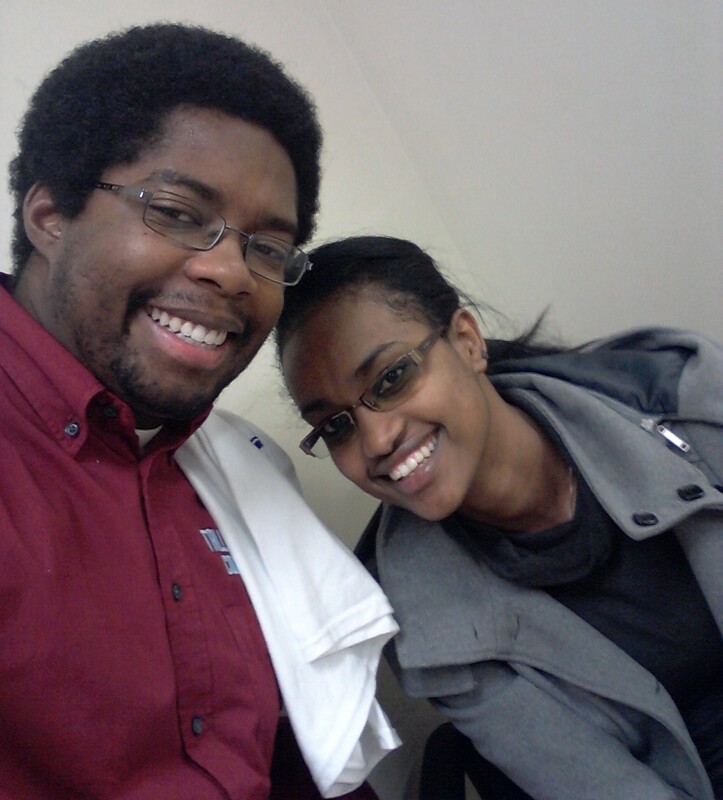 The intangible authenticity provided by student interaction on a campus visit is priceless. 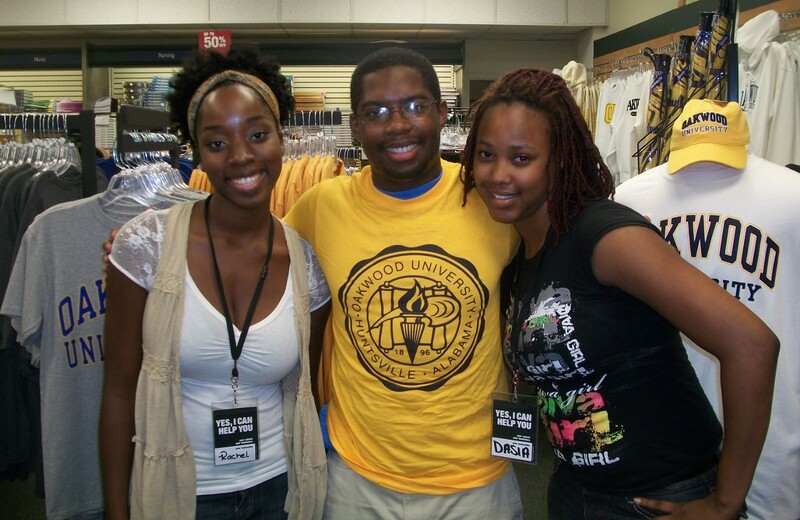 The recruitment staff, campus tour guides, print & broadcast college advertisements are all great ways to expose people to the existence of HBCUs, but I think any HBCU student, employee, or alum would agree that if you have the opportunity to step foot on the physical campus, you should take that chance. That first step on an HBCU campus means more to the Black community than astronauts landing on the moon. The supposed “one giant leap” for mankind did not change much in daily lives of those living in Black neighborhoods; when a Black youth steps foot on an HBCU campus, however, their stories and experiences directly encourage their peers and bring pride to the elders of their communities. Because of their often sub-par K-12 academic experiences and poverty-level socio-economic backgrounds, many HBCU students project a deep sense of gratitude and high level of self-efficacy that they attribute to their institution. In essence, Black people in America go through a test every day, and by attending an HBCU African American youth are intentionally equipped with the tools, skills, and cultural capital necessary to survive life’s test with their heads held high; as a result, HBCUs are credited in most alums’ testimonies about how “they made it.” I’ve found it to be an amazing experience to hear and receive these testimonies from the students while they are in the midst of receiving their psychological, intellectual, and oftentimes spiritual healing through their individual Black College Experiences. 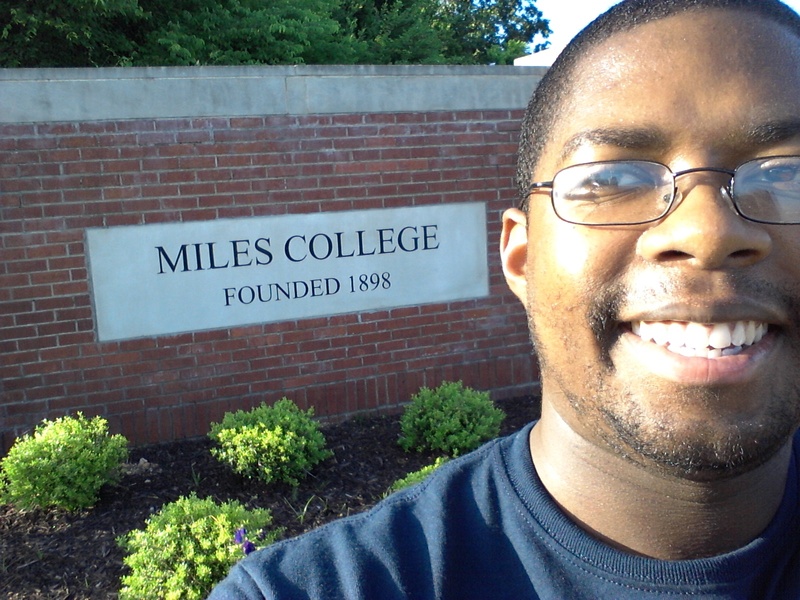 My HBCU Trek began years ago during the summer of 2002 when I first stepped on the campus of Tennessee State University. Since that moment, I have walked, biked, bused, flown, and driven to over 40 HBCUs. As a full-time academic, many of my campus visits have taken place on weekends or after regular office hours; consequently, many of the campus tours are self-guided. 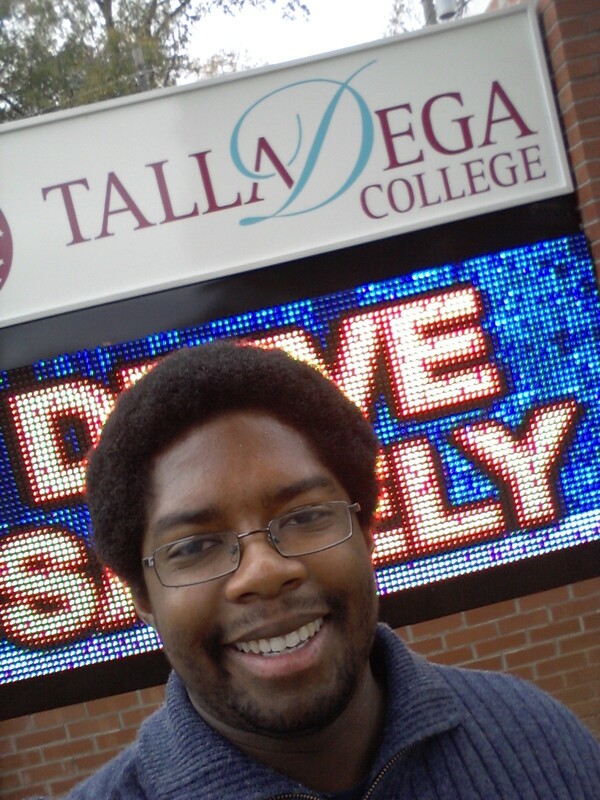 Additionally, the pictures of the campus buildings, landscape, and students are taken with the camera on my cell phone. The HBCU voyage is not funded by a grant nor are the campus tours part of my dissertation study, visiting the campuses is fully something I have taken on as my personal mission. Hopefully, sharing my experiences will help a high school student consider all their options for colleges, expand a recent PhD graduate’s job search, and present a counter-narrative to the propaganda that HBCUs are no longer relevant in a “post-racial” society. So that this material is accessible to anyone interested in learning more about HBCUs, the blog is not written in heavy academic jargon. On the other hand, the blog is not solely composed in pure street vernacular so that interested academics do not write it off as untrustworthy information. The blog is made up of my observations exploring the HBCU world, and is written from my perspective of the places I see and interpretation of the people’s stories I hear at each institution. Whether for research leads, sheer pleasure, or to visit HBCUs vicariously through the voyages presented in the blog, I appreciate you viewing the site and welcome you to the HBCU Trek.